We all, at some point in our lives, experience the moment when we are searching our pockets and bags for our car keys, but it’s nowhere to be found. Losing car keys is always a frustrating experience and is particularly irritating when far away from home or somewhere you need to be. In this blog, I have described some important things to remember when replacing your car keys. Before taking steps to replace your car key, you should make sure that your keys are actually lost. This sounds like an obvious tip, but it must be mentioned as people often misplace their keys only to find them again after they have already been replaced. Thoroughly search the area where you last remember seeing your key be sure to look under clothes and in random bag pockets. If this search does not produce any results, then you should look for a locksmith. There are a number of locksmiths who have expertise in car key replacements in Southern Highlands. This availability is great for residents to easily find a locksmith in both emergency and non-emergency situations. Once you’re sure your keys are lost, consider if you have an old or a new model car. In case you possess an old model car, there is no need to follow the steps mentioned above. All you have to do is call a car key replacement locksmith and ask them to come to your location and they will make you a new key, then and there. Newer model cars usually contain a transponder or some related technology. These technologies make it very difficult for thieves to steal your car, however replacing keys can be expensive, time consuming and require a specialist locksmith. For transponder keys, one of the following things will have to be done: transponder replacement, engine control unit resetting, replacing remotes or key shells, or car lock recoding. 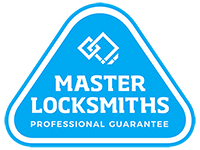 The specialist locksmith will require additional information to be able to replace your key. The first thing you should do is find your car’s VIN (Vehicle Identification Number). Without this, you will not be able to have your car key replaced. This number is usually located on the dashboard and is clearly visible from the window. The VIN is a handy piece of information to keep somewhere accessible, even if you haven’t just lost your car key. You’ll need to provide your cars model and year. Accuracy is important because of the size and shape of the car key changes with each model. Once you have all the information required, call a trusted locksmith for car key replacements in Southern Highlands who are experts in replacing transponder keys who will be able to get a new key to you in a few hours.